Don’t get fooled by the version number: Windows Phone 8.1 isn’t just a minor update, but it’s a totally new version of our favorite operating system, both for users but, most of all, for developers. At a first glance, you may think that it’s the usual Windows Phone you already know, with its tiles and the familiar user interface. However, under the hood, there’s a huge number of new features that turns greatly improve the platform’s quality and experience.This new version was awaited since a long time and, finally, yesterday Microsoft has revelead it during the BUILD’s keynote, the most important Microsoft conference that is running in these days in San Francisco. This new approach improves a lot the tile and toast management for developers, especially when you have to deal with push notifications. We’ll be able, in fact, to send from a server application (like a cloud service) the same exact notification to Windows Phone and Windows Store apps and they’ll both be able to receive it with success. As a consequence, you probably have already guessed another new important feature introduced in Windows Phone 8.1: push notifications are now sent using the WNS (Windows Notification Service, which is the service used for Windows Store apps) instead of the old MPNS (Microsoft Push Notification Service). The architecture is the same: the application subscribes to receive notifications and receives from the WNS a URL that univocally identifies the channel; server side, when you want to send a notification to the device, you simply send a HTTP request using a POST command do the URL that identifies the channel: the body of the request is the XML data that represents the notifications. This way, you’ll be able to unify the push notifications management in your backend service: we’ll be able to send the exactly same notification to both platforms. If you already have an existing app which uses push notifications, don’t worry: MPNS is here to stay and you’ll be able to keep using it. However, if you want, you’ll be able to use the new tiles management and the Windows Notification Service also from a Windows Phone Silverlight 8.1 app. For sure, the biggest new feature (especially from the user point of view) connected to notifications is the action center: by swiping from the top to the bottom of the screen we’ll be able to access to this new screen, which stores all the toast notifications that all your apps have received. The action center fills one of the biggest Windows Phone 8.0 limitations: if the user received a notification while he was distracted and the app wasn’t set up to display notifications on the lock screen or on the tile, the user didn’t have any chance to retrieve it. Now, instead, all the notifications are automatically stored in this new view, grouped by application. As developers, this new feature is completely transparent: automatically, all the toast notifications that are sent to our application will be automatically kept in the action center. However, we have the chance to interact with it thanks to some properties that are exposed by the ToastNotification class (which identifies, as you can imagine, a toast notification): for example, we can define after how much time the notification should disappear from the action center (by using the ExprationTime property) or we can send to the application “ghost notifications” (by setting to true the SuppressPopup property), that are not displayed to the user in the regular way but they are simply stored in the action center. We can also remove notifications generated by our application, by using the ToastNotifcationHistory class. Windows Phone 7.5 introduced background agents, which are separated projects that contains some code that can be executed periodically from the operating system even when the application is not running. 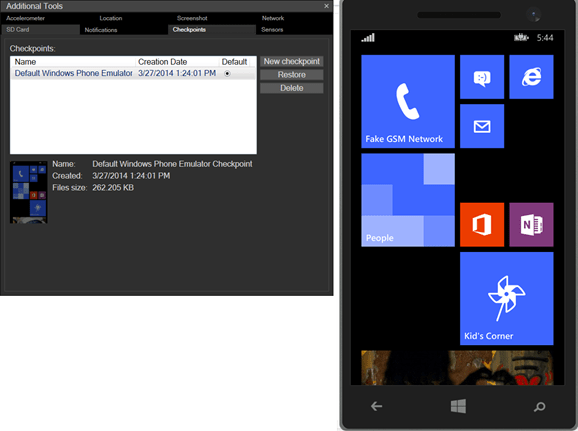 Windows Phone 8.1 improves this area by following, again, the Windows Runtime approach: we’ll keep working with separated projects called background tasks, which offers much more flexibility than the old background agents. Background tasks, in fact, are based on triggers: if background tasks were limited to be executed according to specific time conditions (for example, every 30 minutes), background tasks, instead, can be automatically activated due to a system status change (SystemTrigger, like Internet connection available or not available); when the user walks into a specific are (LocationTrigger, they are connected to the new geofencing APIs); when the app receives a push notification (PushNotificationTrigger); when the device connects or disconnects with another device using Bluetooth (BluetoothSignalStrengthTrigger). If you just need to recreate the old background agent experience don’t worry, you have also some triggers for that, like TimeTrigger (which can be used to peridocailly run the background task, the minimum intervalis 15 minutes) and MaintenanceTrigger (which replaces the ResourceIntensiveTask and can be used to perform long running operations that should be execute only when the phone is charging). 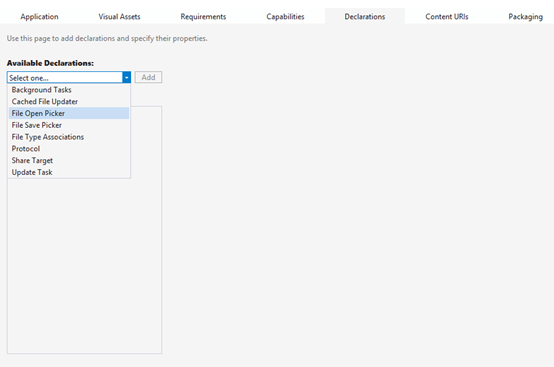 Thanks to Visual Studio improvements, it’s now easier also to test background tasks: in the Debug toolbar now we have a useful dropdown menu that can be used to trigger a background task’s execution anytime we need. Windows Phone 8.1 introduces a new set of APIs called Media Foundation APIs, which were already part of the full Windows Runtime in Windows 8: you’ll b able to developer advanced applications that are able to manipulate audio and video and to play multimedia content. There’s also a new set of APIs inside the Windows.Media.Editing namespace, which can be used to perform video editing operations: we’ll be able to developer apps that will allow the user to trim, add effects or manipulate videos that have been recorded with the phone. Inside this category we can find also some new classes that can be used to record the user’s activity on the screen: we’ll be able, for example, to include a recording feature inside our game, so that the user can share his best match with his friends or on social networks. A new feature called Cortana, which acts both as a vocal assistant (she’s able to interact with the user by voice) and as personal assistant (she’s able to remind you important things, scan your mail to plan your travels, etc.). Plus, third party applications will be able to integrate with it, so that Cortana can search data directly in your application. 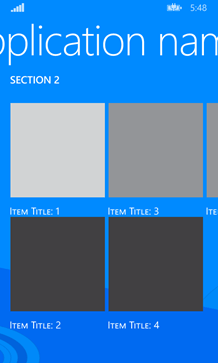 New start screen customization: now you can set a background image, which is applied to all the transparent tiles with a parallax effect; in addition, you can reduce the tile size, so that you can display a third column even on devices without a big screen. The action center, other than being a container for all the toast notifications received by the applications, gives quick access to the network settings: you’ll be able to quickly enable or disable Wi-Fi, Bluetooth, etc. Complete backup of the phone, including the tile layout on the Start Screen. The Store app has been completely redesigned, to give more visibility to the best applications. Now you can force the Store to check updates for the installed apps or, like in Windows 8, you can enable auto update, so that apps are automatically updated without manual confirm from the user. New Calendar app, with new options (like weather forecast) and a new weekly view. New Camera app, with support for burst mode (the camera takes many photos at once, so that you can choose the best one and discard the others). 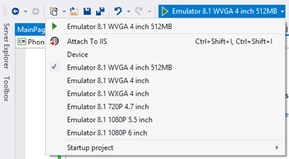 Internet Explorer 11, which improves support for the latest web standards (HTML5, WebGL, etc. ); automatic bookmarks sync with your Windows 8 pc or tablet; integrated password and download manager; Reading mode, which is able to adapt a page’s layout so that it’s easier to read. New enterprise features: VPN support, better devices management, new policies to decide which apps can be installed from the store, encrypted mails support, Wi-Fi enterprise support, etc. New Sense applications: Battery Power Sense, to keep track of the battery usage made by every single app; Wi-Fi Sense, to share your Wi-Fi connections with another device; Storage Sense, to keep track of the storage occupied by every app. As you can see, Windows Phone 8.1 is more than just a simple update: it’s a new starting point, that adds a new and important piece of the puzzle of the Microsoft ecosystem. If you already are a Windows Phone developer, this new release will give you the chance to push your application even further: thanks to the new features, you’ll be able to easily port your application to Windows 8.1, giving you more chances to make money and to increase your number of users. On the other side, if you already are a Windows Store app developer, you’ll find yourself at home: one of the biggest complaints in the past was that, even if Windows Phone 8 and Windows 8 apps shared many similarities (like the application lifecycle, the user interface approach, etc.) most of them were implemented with totally different APIs. Now, instead, this problem has been fixed and there are only a few scenarios where you won’t find APIs convergence (and, in most of the cases, this happens just because there are some scenarios which don’t make sense both on tablets and smartphones). During the BUILD’s keynote Microsoft announced also a new update for Windows 8.1, which brings some features that will improve the desktop experience. The update is already available for MSDN subscribers and it will be released on 8th April via Windows Update to every Windows 8.1 device. MIcrosoft will release a Windows Phone 8.1 Preview for existing phones via the Preview for Developers Program during April. We have just scratched the surface! In the upcoming months we’ll have the chance to cover more deeply all the new features and to learn how to implement them in our applications! 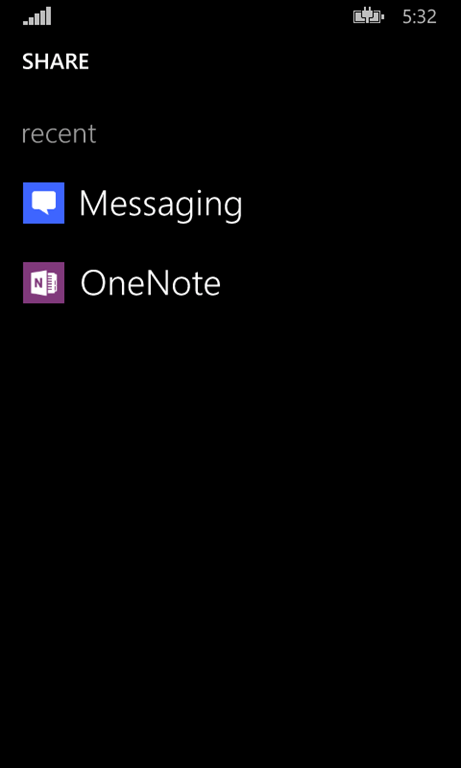 Just to clarify, will newly created Universal Apps that target both WP8.1 and W8.1 have access to the clipboard API? No, it’s included in the list of “not supported APIs” for the moment. Microsoft has done huge job in right direction, although the list of not yet available features makes me cry. Great post. Any idea if universal apps will be available for Visual Studio Express editions or will we require to buy VS 2013? Great post…the best summary of the changes I’ve seen! I’m thinking about how to migrate my existing Phone app to the new universal runtime. Do you know if there are any issues with accessing what has previously been stored in isolated storage on the phone (in my app users can store stuff which is output as xml files). I can’t find any info on memory limits for the new background audio API (using MediaElement). In WP 8.0 it was 25MB I believe, using the old method. about the storage you shouldn’t face any problem, since the storage location is always the same, even if the APIs are different. About the background audio memory limits, I have to investigate, I’ll keep you posted. What about the “print to networked printer” capability? Have they included it on this version? HI，man. 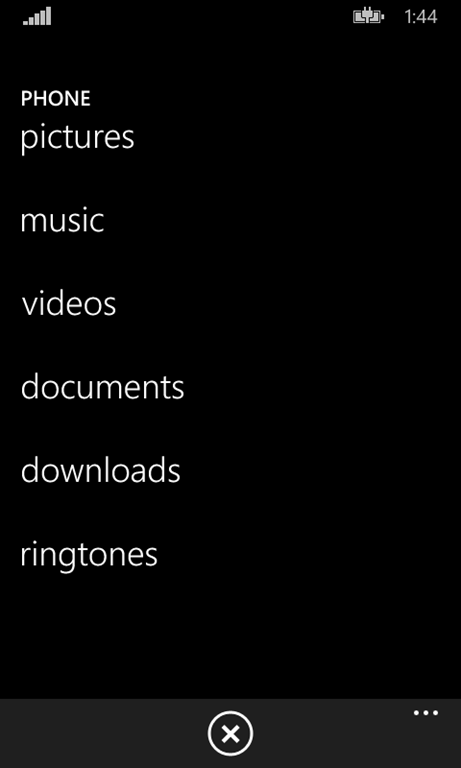 As i know the text box support add a search icon on the right like normal searchBox on wp8.so how to build it on wp8.1 since it not support phone:control ? Are you talking about a Windows Phone Store app or a Silverlight 8.1 app? In the first case, I fear for the moment you should do it manually by editing the TextBox template; in the second case, you’ll have to wait that Microsoft updates the Phone Toolkit to fully support Windows Phone 8.1. I mean the windows Phone Store app 8.1 not Silverlight.The Microsoft may want to share more code framework with WinRT.So i don’t think it will update phone toolkit soon.Of cause,i hope it will update for wp8.1. It’s not unlikely that Microsoft could release a separate toolkit for Windows Runtime apps, with new controls that can be shared between Windows Phone and Windows 8. 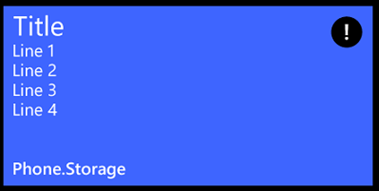 Such as rating control and text box add a action icon does not support on windows phone 8.1. Do you know about listview’s drag event on the wp 8.1 ? It’s work on winrt,but not work on wp 8.1 ? the listview Drag not call. But wp 8.1 listview also has winrt listview’s action,but not work. Windows Phone 8.1 [Windows Runtime apps only] ) but not working on my device ? what’s wrong ??? Sorry, I’ve never used it so I can’t help at the moment. Well, LongListSelector and Panorama have not been removed, but replaced: instead of the LongListSelector, you use ListView or GridView; instead of Panorama, you use Hub. The final result is the same, but they offer much better performances and features.